The strength of any great musical interpreter is his or her ability to see the truth at the core of any great tune. This capability to assess the inner beauty of a memorable tune, regardless of context, can sometimes turn an inspired player into an equally noteworthy composer. 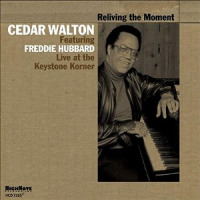 That's the case with pianist Cedar Walton, who, now in his early '70s, contributed a number of well-known pieces to the late drummer Art Blakey's Jazz Messengers songbook of the early '60s, and has continued to pen memorable hard bop tunes in the ensuing years. 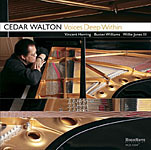 Underground Memoirs is Walton's fourth solo outing in a career that spans six decades and collaborations with a veritable who's who of jazz, including saxophonists John Coltrane, Wayne Shorter, and Joe Henderson; and more recently, guitarist Larry Coryell, Manhattan Transfer singer Janis Siegel, and saxophonist David "Fathead Newman. He has chosen to interpret a programme of largely well-heeled standards, rather than contribute from a compositional perspective. Still, Walton understands the concept of a good story well told, adopting a decidedly non-virtuosic approach and remaining true to the material in a way that echoes Keith Jarrett's similarly faithful and uncharacteristically unflamboyant '99 home recording The Melody at Night, With You. That's not to say that Walton and Jarrett share much in common; Jarrett's typical stream-of-consciousness approach is far removed from Walton's more thoughtful, but never overly-considered, means of interpretation. But both players, at least on these two recordings, share an apparent common musical goal that places the song first and the ego second, although there is certainly no lack of personality on either disc. Three of the tunes covered by Walton are inspired by the late Miles Davissomeone with whom Walton never worked, but whose directness clearly informs his take on "Milestones, as well as two tunes commonly associated with Miles: "Someday My Prince Will Come and "On Green Dolphin Street. Walton retains a stronger hard bop approach than Miles would employ from the early '60s onwards, and he demonstrates an unfailing ability to get inside the melody of everything from Hoagy Carmichael's "Skylark and Cole Porter's "Everytime We Say Goodbye to Duke Ellington's "Sophisticated Lady. 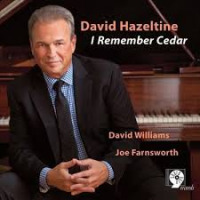 He also uses the freedom afforded by the solo setting to be more interpretive in a time sense, also stretching the compositions' harmonic potential while still remaining well inside the mainstream. Walton's better-known role as the consummate accompanist sometimes overshadows his evocative strengths as a soloist, but Underground Memoirs offers an opportunity to hear him in that most exposed of contexts. The result is just under an hour's worth of nuanced reinvention and reverent reimagining. Visit HighNote Records on the web.